A malfunctioning or jammed garage door is certainly inconvenient, but it can also be a safety hazard. At a time like this, it’s nice to know that you can depend on American Garage Door for 24-hour service for even the most complicated of tasks. A garage door is mechanically complex in addition to being extremely heavy, so it’s best to leave all service work to the professionals. Unfortunately, even a slight miscalculation while attempting to repair your own garage door could result in disastrous consequences. 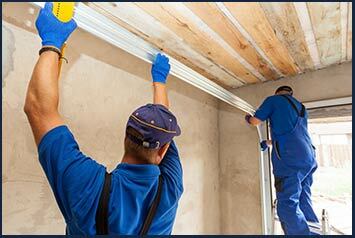 American Garage Door is available to provide all types of garage door repair. Our service technicians are always respectful of your time and budget. An older garage door can be particular hazardous because it has been subject to years or even decades of daily use, sometimes without any maintenance performed at all. While the inability to open your garage door is certainly a problem, it’s not nearly as serious as a door that crashes to the ground suddenly due to a loss of structural integrity. If anyone is moving in or out of the garage door at that time, they could become trapped underneath it. This is one reason why American Garage Door recommends routine garage door maintenance in addition to being available for 24-hour emergency services.